Discussion in 'Digital & Modeling Gear' started by Bentayuk, Apr 22, 2016. I've been looking at the Yamaha Thr10x, and can't figure out whether it's worth the price (roughly $300). I'm worried I might find it a bit gimmicky, and no better than any of the POD HD / XT / 11R units I've owned. That said, it'd just be for bedroom jamming. I must admit, I haven't read a bad review yet! Well they're $349 here (Canada), so roughly $250-300 used. They sound very impressive, especially the Brown / Brown II models. It's excellent. I got a new in box THR10X on eBay for $215 total shipped. +1. Those two models are worth the price alone. The THR10x isn't my thing, but I got a THR10C and dumped my Helix and Amplifire, and bought a THR10 too. I'm waiting for Yamaha to come out with something like a THR30 or something. To be honest, it's completely different from a modeler unit like a the HD or Eleven Rack. It's an amp in the room sound, not an FRFR type sound. The sound quality on the THR's are phenomenal, I love them and I haven't heard any complaints about the 10x's. SloeGin and CreamTele2 like this. I have a 10x. I like it! It's good for what it is, fine for bedroom usage. I have been using my Atomic Amplifire a lot more these days, but different use cases. Used for around $200 , it's a good deal. Although I did take it to a jam and my buddy's Fender Mustang III did blow it out of the water for only $100 more -had much more volume and it has nice tones in it. Again a different use case. Although I did take it to a jam and my buddy's Fender Mustang III did blow it out of the water for only $100 more -had much more volume and it has nice tones in it. Again a different use case. 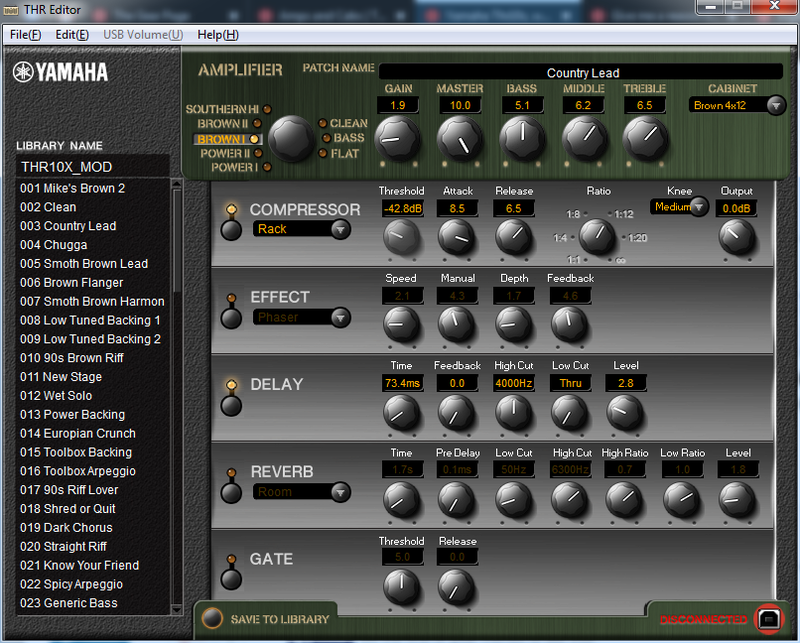 I just didn't imagine a Fender digital modeler would sound better than the Yamaha. Well, most of the Mustangs are *louder* so if you're looking to take it to jams, you might be better off elsewhere. For jam purposes you'd probably want the Fender, especially if you want loud and you don't mike. It's not "better". The Yamaha works best for me as a great sounding bedroom amp I can use to play along to mp3s and such. Ah, ok. It's literally just me at home, on my own. No need for any extra volume! It also comes with Logic recording software. It doesn't come with Logic. Sure you don't mean some version of cubase? Yamaha owns steinberg / cubase. When I bought my thr10 there was a cubase disc included. That would be an odd move for Apple. I can't imagine what their incentive would be to give away $200 software with a $300 amp made by another company. it came free with Cubase. wow....you dumped the helix and the af...that is saying alot- i agree if a thr30 came out with 10" speakers even in the same form i would look at that as well. Stereo seperation in an amp for practice is very sweet.